A posterior drawer test is a specific maneuver used to test the stability of a joint, especially the knee joint. It specifically tests the function of the posterior cruciate ligament (PCL). A positive result is seen when there is an injury to the PCL, such as a PCL tear. The posterior drawer test is part of a normal examination of the knee joint. When your doctor examines the knee joint, he will inspect the joint, feel for abnormalities, test the ligaments and mobility, determine if there is swelling, and perform specific maneuvers to detect abnormalities. If your doctor suspects a PCL tear, the posterior drawer test is the best test to diagnose it. The test places stress on the PCL. Knees with a damaged PCL may have more translation and a less firm endpoint in this test. With the patient lying flat and relaxed, the examiner bends the knee to a right angle (90 degrees). The examiner then places his fingers on the knee joint and attempts to shift the tibia backward. As the examiner is placing pressure on the top of the shin bone, he can feel the resistance that comes from the PCL. In patients with an injured PCL, the examiner may note excessive translation (movement) of the tibia backward, and may not feel the normal resistance of the ligament. Both the amount of movement (shifting) of the shin bone, as well as the feel of the endpoint of movement (how solid the ligament feels), offer information about the PCL. Knees with a damaged PCL may demonstrate more movement and the endpoint of the movement will feel less firm. A PCL tear is an uncommon injury that typically occurs as a result of a fall directly on a flexed knee. This injury can also occur to a front seat passenger in a motor vehicle that is involved in a collision. In this case, the shin is forcefully pushed backward by contact with the dashboard. People who sustain a PCL tear may have sensations of knee instability. 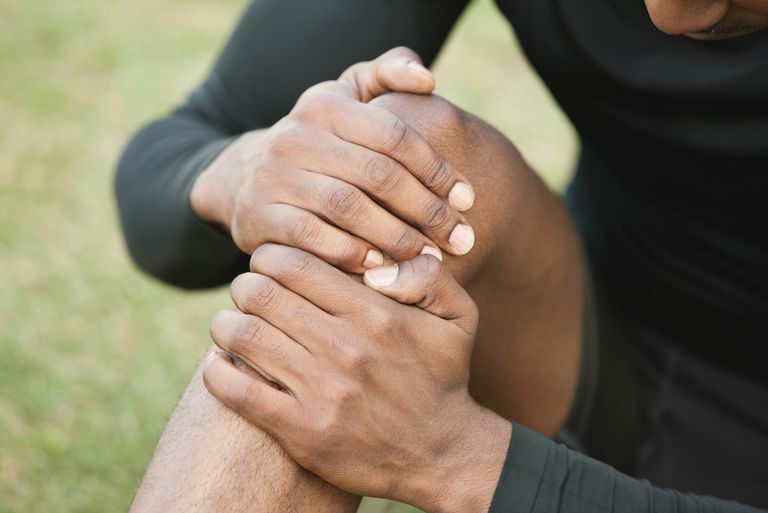 Often, a PCL tear occurs in conjunction with other ligament injuries of the knee. Treatment of isolated PCL injuries is most often done with nonsurgical treatment, although surgery may be necessary in the case of some high demand athletes. Where the PCL tear is associated with other ligament injuries, surgery is more commonly performed to restore stability to the knee joint. If a PCL tear is suspected, typically an MRI is performed to determine if the injury is present. However, the severity of the injury is best determined by the examiner detecting how unstable the joint is as a result of the injury. PCL tears are graded 1 to 3. Grade 1 injuries often have minimal symptoms and a very good prognosis. Grade 3 injuries cause more problems and possibly require more-invasive treatment. Vaquero-Picado A, Rodríguez-Merchán EC. Isolated Posterior Cruciate Ligament Tears: an Update of Management. EFORT Open Reviews. 2017;2(4):89-96. doi:10.1302/2058-5241.2.160009.